The mobile phone maker, Sony Ericsson has introduced its 5th generation latest P-series smartphone, Sony Ericsson P1 which measures at 106mm x 55mm x 17mm and weighting at 124 gram only. It is 25% smaller than its previous version, Sony Ericsson P990. The new Sony Ericsson P1 features an 3.2-megapixel camera with auto-focus with macro mode, 2.6 inch TFT touchscreen (262k color, 240 x 320 pixels), QWERTY keyboard, push email through BlackBerry Connect, Wi-Fi (802.11b), VoIP support, Symbian operating system v9.1, media player and FM radio with RDS. Battery life of this Sony Ericsson smartphone quoted as 10 hours talk or 18 days standby on GSM, 3.5 hours talk or 14 days standby on 3G. 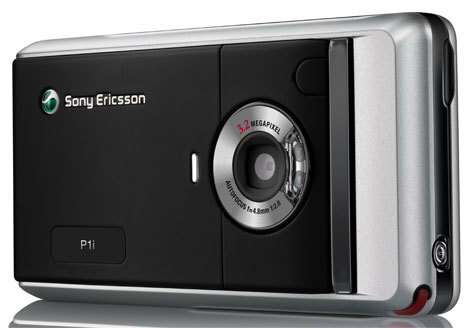 Besides, the Sony Ericsson P1 have 160 MB internal-memory and the 512 MB Memory Stick (M2) Micro is comes with a package. 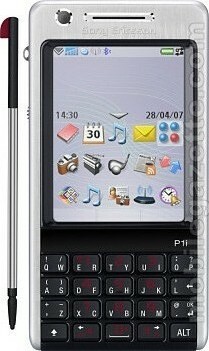 The latest Sony Ericsson P1 will be available in selected markets from Q3 2007 but no words on its price yet.